After two months of workshops with so many wonderful and creative children at Slanchogled, we are particularly excited about this month’s half term! A week off school is good enough, but that also gives us more time to create stuff together! We’ve planned five days of workshops, each holding a different creative adventure, and not only that, but we’ll also spend twice as much time on our exciting projects than usual! We’ll be meeting every day between Monday 18th and Friday 22nd, from 2pm to 4pm. You can join a single workshop or come to all of them! Just remember to book in advance, and the full list of workshops during half term is here. In the meantime, if you are walking down Chalk Farm Road, look out for our new window! 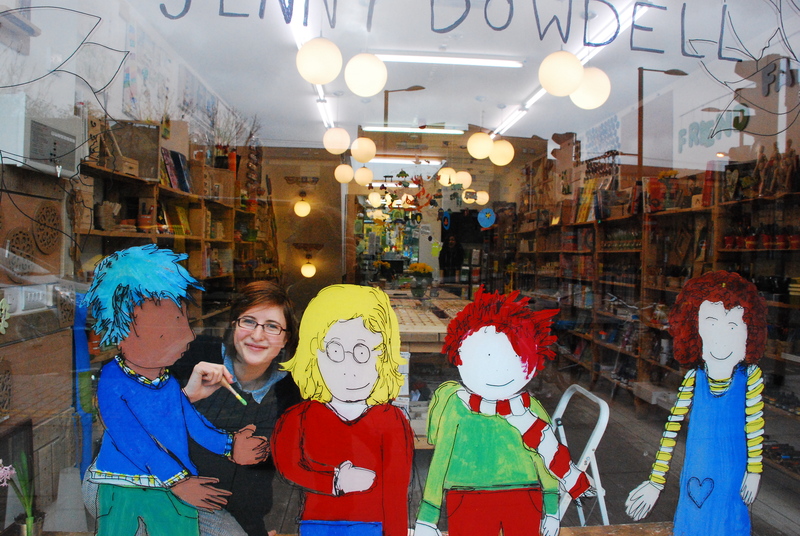 Jenny has painted the whole display especially for the half term workshops, see some of the action here! See you soon for a crafty afternoon!